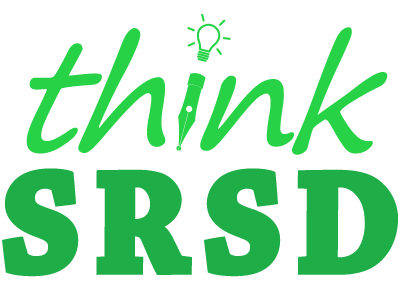 While research studies have shown great gains, thinkSRSD focuses on the next step into the messy, exciting, infinitely complex world of full school change. Data below is from thinkSRSD’s partner schools, achieved following support from thinkSRSD’s team. As Robert Slavin cautions, if we want to see gains from research come alive in our schools, it is critical to follow the same implementation steps. We are happy to share the steps these schools took. Over 25 Schools & Districts Climbing High! 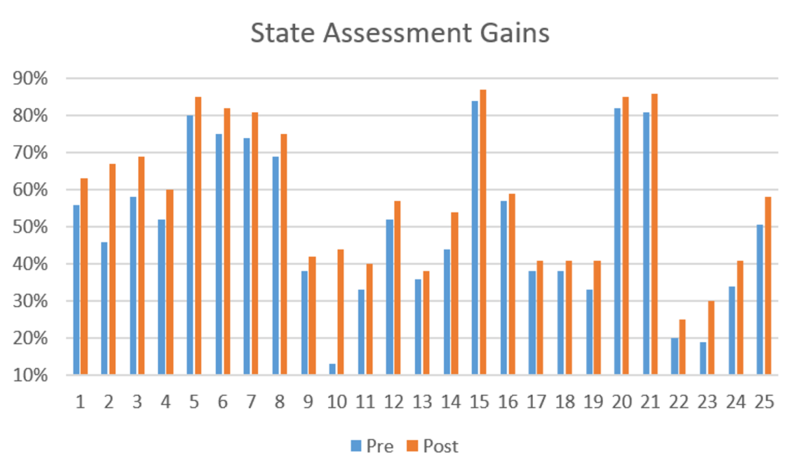 Every year, schools partnering with thinkSRSD who take equivalent assessments as prior year see astonishing gains. We collect this data from as many of our schools as we can. Bottom tier schools rise to top tier. Schools rise over 350 levels in state rankings. Both students and teachers transform. When adopting a new initiative, we can’t encourage you enough to look at data, not just on the program, but from schools working with your PD provider. Below is thinkSRSD’s exclusive data from those schools that have tracked their data after partnering with thinkSRSD. 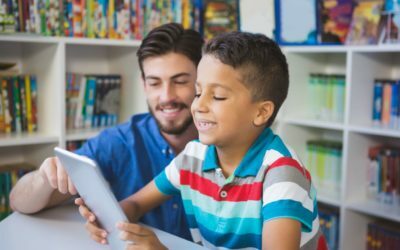 These schools saw gains that helped them hit their highest scores ever, and many rose to the top of their state after partnering with thinkSRSD. 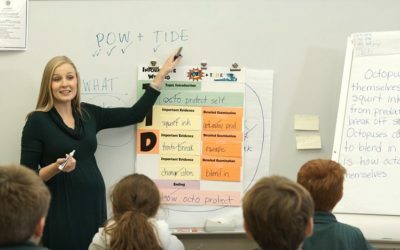 Listen to our video testimonials on how joyful writing became in these schools as well at thinkSRSD’s Youtube channel. As we regularly update data we receive on gains achieved, contact us for our latest complete spreadsheet, and disaggregated data on special populations (ELL, Special education) – All good news! Lincoln Heights MS rose nearly 200 rankings in TN, rising to become a top performing school in the state after having been in the state’s lowest category of performance. This school dove right into using SRSD after thinkSRSD’s course. 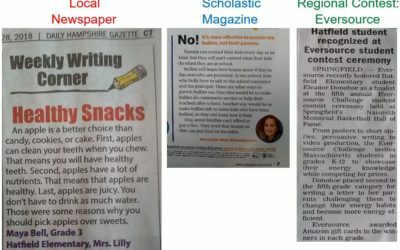 They rose nearly 20% on their state assessment (PACE), then was 1 of only 2 NH schools to receive national recognition. Hamilton School rose nearly 350 levels after one year of working with thinkSRSD, surpassing their highest scores ever.